Now available in bookstores nationwide, the new 392-page hardcover book Giving Back: A Tribute to Generations of African American Philanthropists reframes philanthropy with a vast collection of photography and stories. 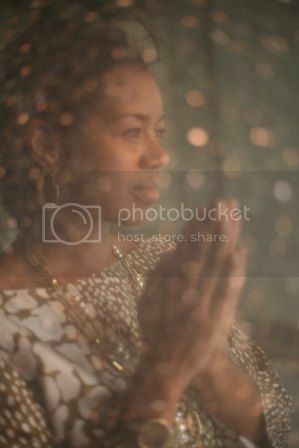 In Giving Back, author Valaida Fullwood and photographer Charles W. Thomas Jr. profile black donors and reveal centuries-old philanthropic customs that endure throughout the African Diaspora. Giving Back celebrates the generosity and innovation of everyday African American givers who, heretofore, rarely gained recognition as philanthropists. 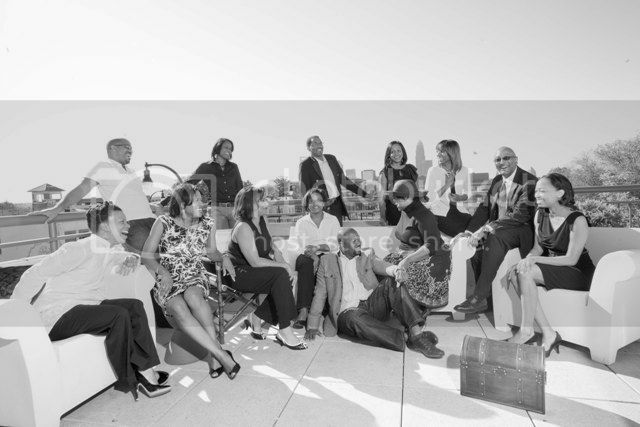 Giving Back is the centerpiece of the Giving Back Project, a civic engagement campaign led by the collective giving circle New Generation of African American Philanthropists. Deeper discussions about philanthropy, celebration of generosity among African Americans and more mindful giving are aims of the project. A photo-rich book for your coffee table, Giving Back is designed as a springboard for conversation, overdue recognition and strategic giving in communities. Members of the giving circle seek to reclaim the root meaning of philanthropy—love of humankind—and to build bridges between “conventional” philanthropy led by institutions and centuries-old philanthropic traditions flourishing among Black communities. 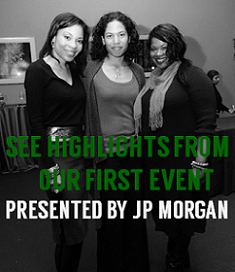 New Generation of African American Philanthropists published Giving Back, in affiliation with Foundation For The Carolinas, which is the host community foundation for the giving circle’s grant-making fund. Sponsoring partners of the book project include: Foundation For The Carolinas, John S. and James L. Knight Foundation, Harvey B. Gantt Center for African-American Arts + Culture, The Duke Endowment, NCGives, Charlotte Post Foundation, Piedmont Natural Gas, Community Investment Network, and Blue Cross and Blue Shield of North Carolina Foundation. In addition, over 80 individual donors have contributed to the project. 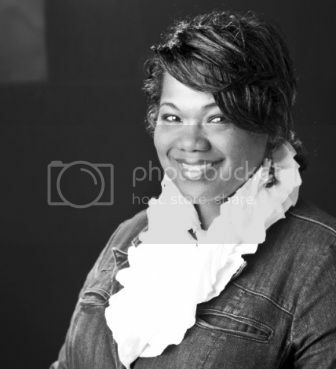 Portrait featured in the new book Giving Back: A Tribute to Generations of African American Philanthropists. Shown in color here, black-and-white photography fills the book. The artful coffee-table book is the brainchild of Fullwood, who pursued its development and publication as a labor of love for nearly five years. She works as a writer and consultant in the field of philanthropy and also is a founding member of New Generation of African American Philanthropists. Photographer for Giving Back, Thomas formerly served as director of education at The Light Factory Contemporary Museum of Photography & Film and was recently named founding executive director of Queen City Forward, a new nonprofit organization that promotes social entrepreneurship. A perfect gift, Giving Back is a well of inspiration for lovers of photography, culture and humanity. Every book purchased keeps giving, since proceeds support the mission and grantmaking of New Generation of African American Philanthropists—and since the stories inspire readers to give. 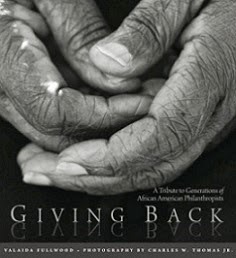 Giving Back is now available at John F. Blair, Publisher, Amazon, Barnes and Noble, Indiebound.org, and your favorite local bookstore. For bulk orders, contact info@givingbackproject.org or (704) 516-2819. To schedule a book event, contact Sheila Jamison, publicist with Buppy Hipster Public Relations, at buppyhipsterpr@gmail.com and (212) 598-9484.